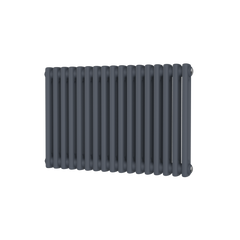 The Supplies 4 Heat Beaufort Vertical Radiator is a flat tube steel radiator. It has a simple and classic design so will seamlessly blend in with any room design. The Supplies 4 Heat Beaufort would look great in any room in the house. The Radiator Company Relax Vertical Stainless Steel Radiator is a beautiful slimline radiator with an Italian design and manufacture. This product supercedes replaces the previous Radiator Company Ice Radiator and is brand new for 2017. This will create a super modern look in your home with the added ability to blend into any room design. It has a choice of Single Panel, or Double Panel. The RDC Relax would look beautiful in any room including, Living room, Kitchen, Bathroom, Conservatory or Hallways. The Relax Inox is a special limited edition version of the standard Relax, which is available in beautiful Mirrored Polished Stainless Steel. 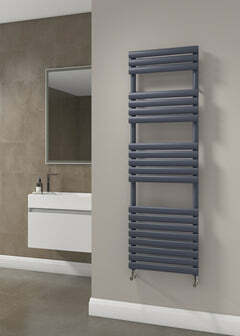 Relax Vertical available in White, or a choice of 188 RAL Colours and 32 Special Finishes!! The Supplies 4 Heat Woburn Vertical Aluminium Column Style Radiator has a traditional styled design which looks stunning, with the added twist of being made out of modern aluminium. The Supplies 4 Heat Woburn would like great in any room in the house. The Supplies 4 Heat Woburn is crafted from Aluminium, so it combines low water content with high thermal efficiency. Great for heating up quickly and keeping those energy bills low. The S4H Woburn is available in a crisp White powder coated finish. 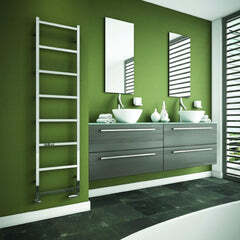 The Reina Evie Vertical Designer Radiator has a lovely fresh and contemporary design, which would suit any room. 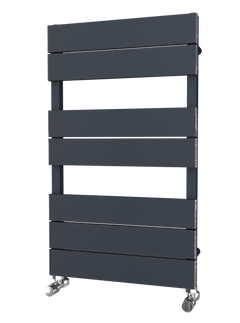 With the newest in aluminium radiator design, the Reina Evie boasts fantastic versatility in heating your rooms, as it heats up quickly whenever you need it. The Reina Evie comes in a stunning white finish.